We believe that cannabis has the power to heal, and are pleased to offer medical cards to qualified patients. Because we staff several Department of Health certified consultants, one of whom is a retired registered nurse, we are confident you’ll find the products and expertise at Walla Walla Cannabis Co. to inform decisions based on your medical needs. To be a medical cannabis patient in the state of Washington, you must get a Medical Cannabis Authorization from a healthcare practitioner allowed to authorize cannabis for medical purposes. This allows you to grow four plants. Medical cannabis patients with a valid Medical Cannabis Authorization may join the medical cannabis authorization database and get a medical cannabis card from a medically endorsed cannabis retail store (PDF). This allows you to purchase cannabis products sales and use-tax free. What is a Valid Medical Cannabis Authorization? Include an original signature by the healthcare practitioner, along with the authorization date and expiration date no more than 1 year from date of authorization; or six months for patients under the age of 18. Does my authorizing practitioner have to fill out my form? Must personally fill out and sign the “Attestation of Healthcare Practitioner” and the optional section regarding additional plants, if that section is used. May have staff members fill out the “Patient and Designated Provider and Authorizing Healthcare Practitioner Information” sections. May pre-print the information in the “Authorizing Healthcare Practitioner Information” section. Neither the patient nor the designated provider may fill out any portion of the form other than signing under the attestation. Can I talk to a budtender about my medical needs? Only our registered DOH consultants can give advice and information to our medical patients. This is to insure that you are getting the most accurate information on issues regarding your medical needs. Can my medical records be accessed by any employee? No. Your medical records are highly confidential. Only a consultant is allowed access to the DOH database, which is where the inputting of the patient data occurs. Is my Washington MMJ card valid in other states? Some states may recognize a medical cannabis authorization from Washington. Medical cannabis patients from Washington should check with other states before traveling, and should comply with the laws in those states. Healthcare practitioner authorizations, ID cards and other documentation from other states aren’t valid in Washington. When can I register as a Walla Walla Cannabis Co. patient? Medical cards are issues Monday-Friday, 10am-5pm. We issue cards onsite at the time of visit and the paperwork from the doctor must be completed properly or the card cannot be issued. Plan for about 15-20 min for your card to be issued. You may then immediately begin to use it at the shop. have more medical cannabis authorization questions? 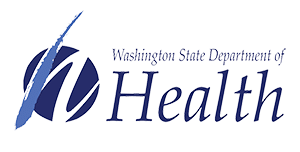 Visit Washington’s Department of Health (DOH) website for tons of great information!